Nice post, Brian. And I concur! 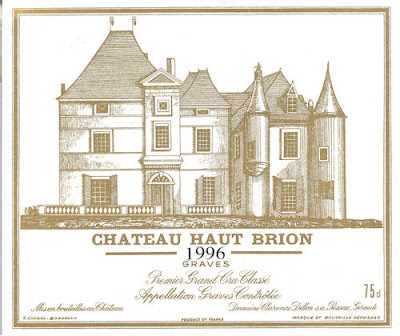 I was born a mere 10 days after the all-time great Bordeaux vintage of the 20th century, 1990. KIDDING. 1961 was that year of course, and I was a 1962 babe by just a fraction! So that is one I am exploring. Most recent was a 1962 Ausone, auction bottle, brought back to Bordeaux to share with the wine maker (you met Philippe last May, the day of the great hail storm of 2009), and paired it with a 2003 he brought. That 62 was alive, well, and as you say, surprisingly charming. Everyone who tasted it wanted more -- a good reaction that pushes beyond mere admiration -- it was lovely to drink! I am now on the hunt for great 88's, a few friends in Pomerol say it was the first of the trilogy years, and compared to 89-90 they sell for a song. We'll see what they have left in the tank soon enough, I found a couple here in St. E.
And PS -- yes, the 2009 has fantastic raw material in most every sector of Bordeaux. The wine makers now have the burden of "not F-ing it up"!